Trusted and respected around the world, ST Engineering is a leading defence and engineering provider with 50 years of innovation. A commitment to pushing the boundaries of technology has enabled the organisation to make its mark in the aerospace, electronics, land systems and marine sectors. Its achievements, just to name a few, include designing and building war-ready military vehicles as well as the first made-in-Singapore commercial Earth Observation Satellite. Besides building a culture of innovation, ST Engineering also prides itself on developing its greatest resource - people. To find out more about the organisation, we speak to Choo Foo Lai, an Engineer with ST Electronics, the electronics arm of ST Engineering. He was also a recipient of the ST Engineering Overseas Scholarship. As a child, Foo Lai was fascinated with toys and hobbies that promoted elements of engineering. These include “piecing together Lego bricks and Tamiya racing cars.” As such, an education and career in engineering came naturally to him. 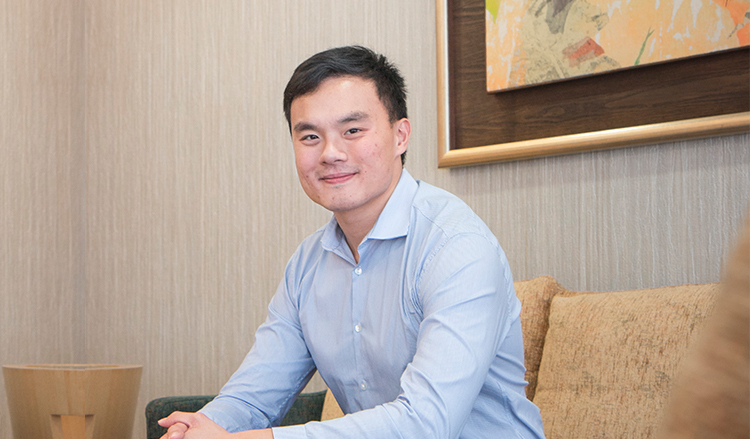 Foo Lai began his journey at the organisation with internships during their undergraduate days, interning at ST Electronics where he developed an event booking system within 10 weeks. Through this project, he developed a deeper understanding of structured development life cycle methodologies such as planning, development, testing and deployment. “Students are rarely exposed to such projects in academic settings. The internship eased me into my current role as a software developer since the processes are similar across different projects. I am indebted to the senior engineers and developers who explained many processes and guided me patiently. I am now working in the same department and seeing these friendly faces is a definite plus,” he shares.